Several barriers prevent minority children with ADHD from receiving the most effective treatments, according to a new study by Michigan State University researchers. In the May issue of the Journal of Attention Disorders, the researchers argue schools and communities should do a better job of getting information to minority families about the combined benefit of medication and counseling for attention deficit hyperactivity disorder. "ADHD has multiple causes and multiple treatment approaches are warranted," said John Carlson, associate professor of school psychology. Carlson co-authored the study with Andy Pham, a recent Ph.D. graduate, and John Kosciulek, professor of rehabilitation counseling. 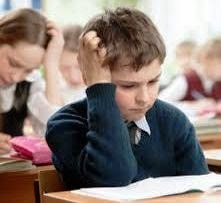 More than 4.5 million children have been diagnosed with ADHD in the United States, making it one of the most common childhood disorders, according to the Centers for Disease Control and Prevention. The disorder, characterized by impulsive behavior and inattentiveness, often lasts into adulthood. Causes include both biological and environmental factors, the study said. Medication such as Ritalin has shown to decrease hyperactivity in children with ADHD, while counseling such as behavior therapy and parent training can lead to improved relationships with family and friends, Carlson said. The treatments can be successfully combined to treat severe behavioral problems, he said. But according to study, which included a scientific survey of parents, blacks and Latinos are less likely than whites to consider combining medication and counseling for their children. The barriers preventing minorities from seeking and using these treatments include a lack of culturally competent health-care providers, financial hurdles and little dissemination of information about treatments that work. Pham said the "significant increase in children diagnosed with ADHD" intensifies the need for parents to be informed of all treatment options. "Parents may bring different cultural beliefs to the treatment context," Pham said. "Therefore practitioners such as physicians and school psychologists must build on their own cultural knowledge when working with families to determine the best course of action."